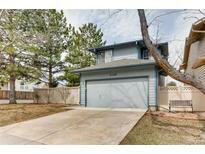 Below you can view all the homes for sale in the Four Lakes subdivision located in Centennial Colorado. Listings in Four Lakes are updated daily from data we receive from the Denver multiple listing service. To learn more about any of these homes or to receive custom notifications when a new property is listed for sale in Four Lakes, give us a call at 720-924-7403. This ideal home is a short walk to neighborhood park, pool, and tennis courts! MLS#3741059. HQ Homes. Just around the corner there is a park, pool, tennis courts, and club house. MLS#8802911. Oak Bay Properties Inc. The fenced backyard is private and peaceful with a patio, wood terracing and a large, level lawn ideal for fun, family activities. MLS#9654533. LIV Sotheby's International Realty. For Virtual tour go to www.2109EastPhillipsPlace.info MLS#8163838. Your Castle Real Estate Inc. This will not last on the market so set your showing today! MLS#3877241. Invested Real Estate. Rarely will you find such a gem so conveniently located. All new trex decking. MLS#4241046. 8z Real Estate. Lots Of Outdoor Living Space, Multiple Decks & Patio With Hot Tub & Tv, Gas-stubs For Fire Pit & Bbq, Large Fenced Yard!! Great Value In Top Area!! ! MLS#2062883. KENTWOOD REAL ESTATE DTC, LLC.